LAS VEGAS, April 3, 2019– GB Sciences, Inc. (OTCQB: GBLX) Director of Medical Formulations Dr. Dominick Monaco was a featured speaker at the Las Vegas Cannabis Conference April 2. He discussed “Science That Sells: Debunking the Sativa, Indica Myths & Instead Focusing on Terpenoids, Cannabinoids and Flavonoids.” Presented by the Cannabis Business Times and Cannabis Dispensary, the conference brought thousands of cannabis professionals across the country to Las Vegas. Learn more here. 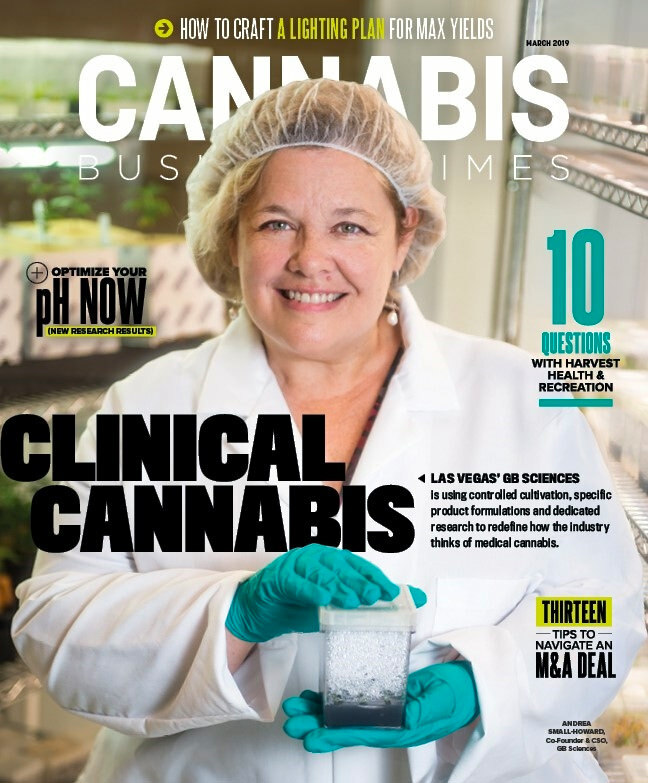 GB Sciences is located just three miles off the Vegas strip, in a 28,000 square foot state-of-the-art facility featured on the cover of Cannabis Business Times’ March 2019 issue. The article also highlights the company’s groundbreaking research program, led by Dr. Andrea Small-Howard with the support of Dr. Monaco and our university research partners, who have created a patent portfolio of cannabis-based therapies that covers over 60 disease and health conditions including Parkinson’s disease, neuropathic pain, and cardiac hypertrophy. Read the full article here.